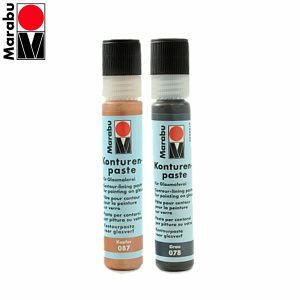 1 Relief Paste. 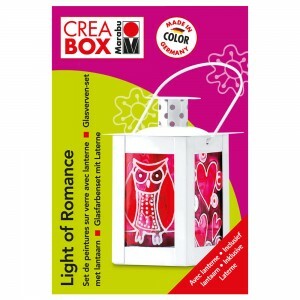 073, 20 ml. and 1 brush. 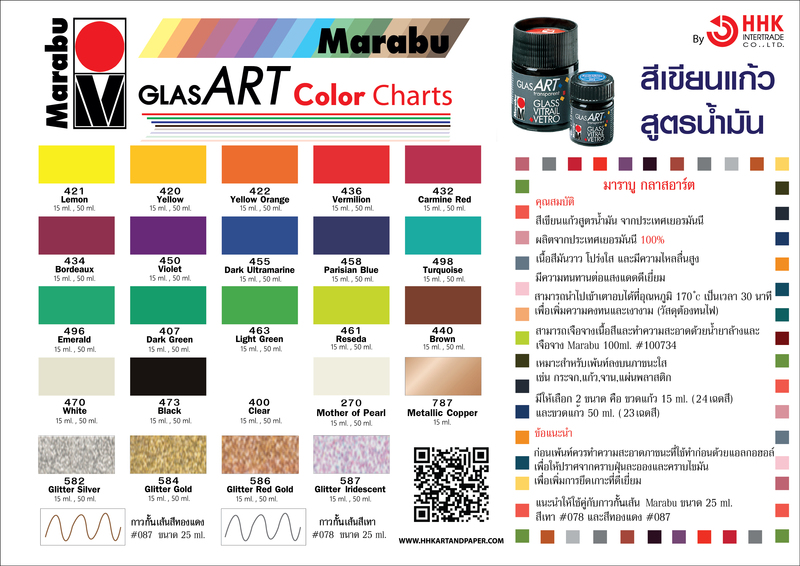 Whether on a large area or as a small colour highlight – the Marabu glass paints make glass surfaces shine. 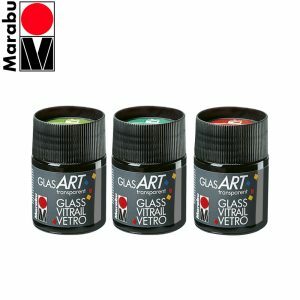 Use the high-gloss, transparent paint for your creations on glasses, glass plates, vases and windows as well as on mirrors, ceramic, porcelain and acrylic plastic. Excellent flow properties for even application. 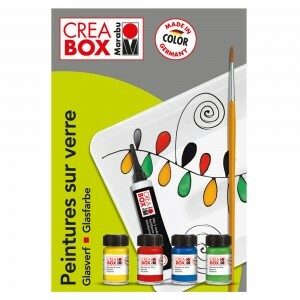 The colours are easy to mix and result in a wide range of colours. Depending on the thickness of the paint coat, you can achieve delicate or rich shades. The colours dry to a transparent, glossy finish. Black and white are opaque. The combination of bright colours and elegant transparency creates a fascinating interplay of colours and light. 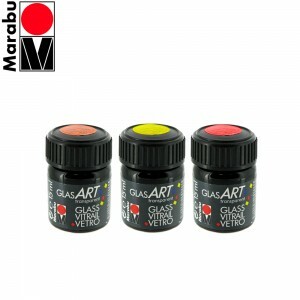 A range of pens filled with a glossy, transparent water based paint specifically designed for use on glass. 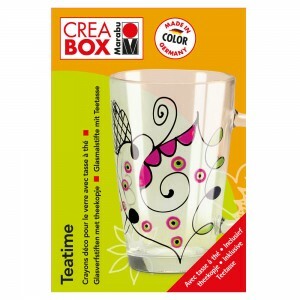 Available in 4 bright colours. Can be heat-fixed in the oven.